Each ceiling panel can be easily installed and demounted. Runner composed of aluminum and galvanized steel. 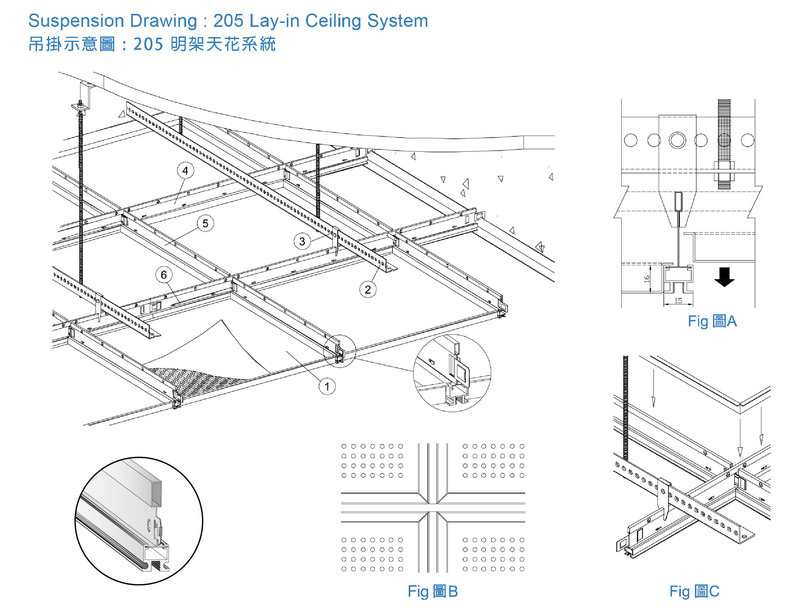 Each runner depressed above the ceiling level which enhance the visual effect of the ceiling. Cross runner (P5-102A) is fixed on main runner and connected with perforated L-shape runner and hanged by screw directly.